Afoot and light-hearted I take to the open road...the world before me, the long brown path leading wherever I choose. This isn’t just a piece of jewelry; It’s a call to adventure; a reminder to get up, get out, and enjoy the journey. 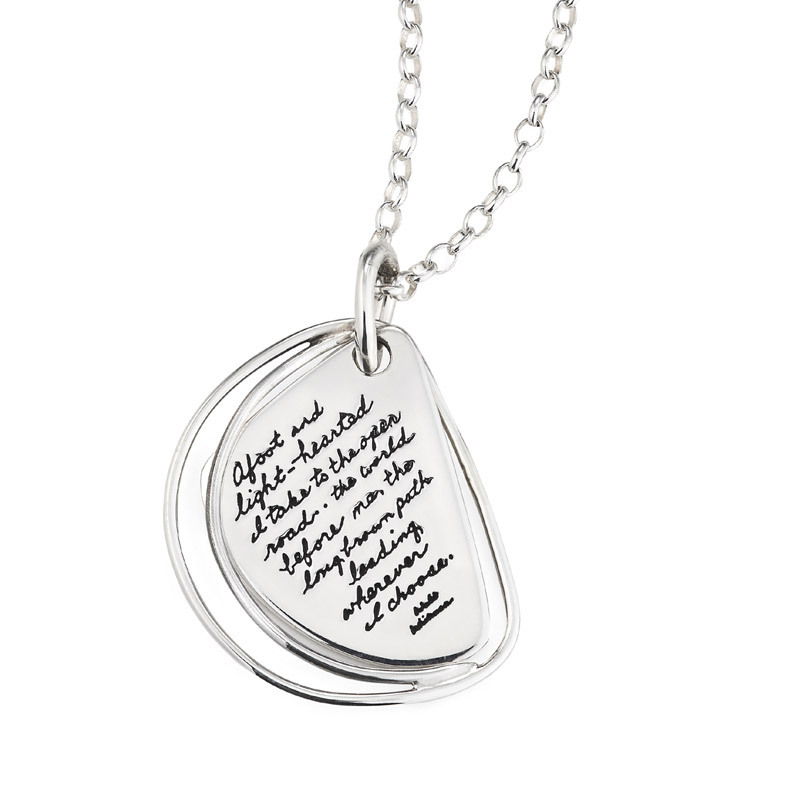 We engrave the substantial sterling silver pendant with a meaningful Walt Whitman message. It comes from the American poet’s Song of the Open Road. In the poem, the author explores the joys of getting outside, meeting people, and celebrating the little things on his journey. A sterling silver road extends from the large token with a visual whisper calling, “Let’s take a walk, travel, and experience this life.